If one looks at the legends surrounding the crafting of magical items and artifacts, a person will most often find that the power/magic comes from the skill of the smith who made the item and the substance the item is made from. Legends most often include a smith of great skill or renown, indicating that both the substance and a skilled smith are required for the creation of these items. A number of anthropologists have commented on the perfusion of certain magical item archetypes occurring across cultures. One theory as to this common thread found among various cultures and their legends, is that metal working was held as a form or practical magic, since the skill to produce metal items was a rarity among the populations of these cultures. In an attempt to get back to basics, and to add an option for low magic settings, I have comprised a list of various materials, both mythical and theoretical, and the possible powers that would be granted when the material is crafted into certain forms. Each material includes background information and the powers granted when the material is formed into: a Sword/Weapon, a Ring, a Talisman or Amulet, and Wand or Virge. Each archetypal item possesses a number of similarities across cultures and legends as far as function within the stories. This is the first of two posts, concerning the creation of items out of various materials. The first post will focus one theoretical substances/materials, while the second will focus on mythical materials. The Sword/Weapon: While their purposes and abilities would seem obvious, both from common knowledge and experience playing fantasy RPG's, the sword/weapon has a set purview in legends that is occasionally crossed in games like Dungeons and Dragons. The purpose, or ability, most often found in magical swords is the capability to kill something or someone powerful. Other legends have included a number of other powers to protect or enhance the wielder, but the main thread of killing remains the same across all of the legends. 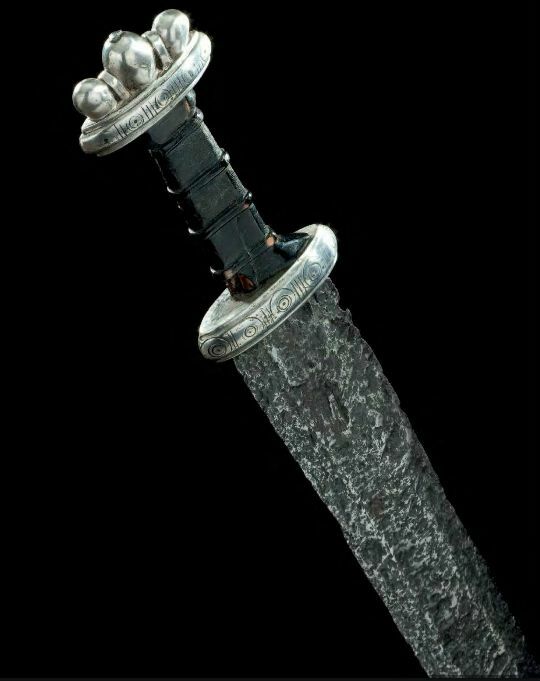 Legends of broken sword/weapons of great power are most often symbols of a loss of status or honor which can be reclaimed through a great deed or hard work, much as the reforging of a sword can be time consuming and difficult. Examples: Excalibur, Durandal, Tyrfing, and Curtana. The Ring: A magical ring most often, in legends, grants the wearer an ability they would not normally possess or focuses a certain capability of the wearer. 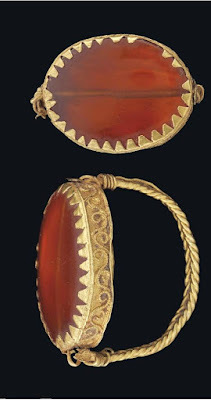 While in Dungeons and Dragons a ring can provide protection, protection within legends and myths was almost strictly provided by talismans or amulets. Examples: Ring of Gyges, Ring/Seal of Solomon, Ring of Al-Shamardal, and Sir Gareth's Ring. The Talisman/Amulet: These items provided protection from supernatural and physical harm, as well as granting the wearer luck. Talismans/Amulets are the only item in this list that could be crafted by priests/wizards as well as smiths. 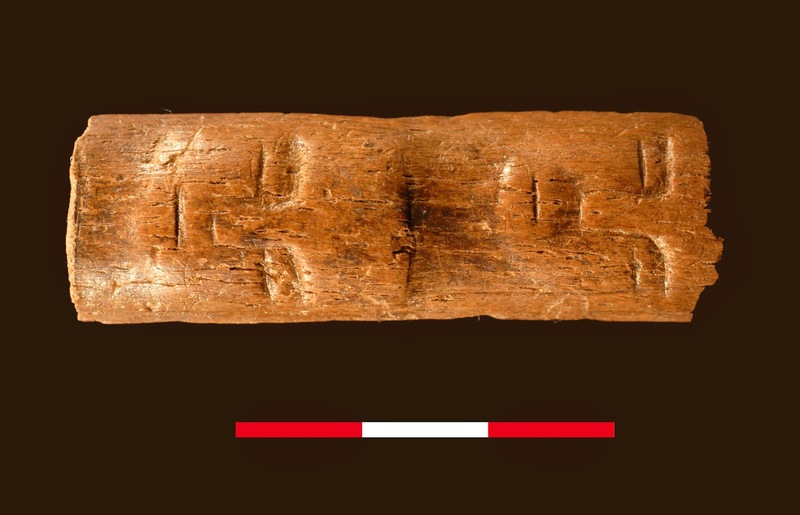 While they could be crafted by those in touch with the supernatural, these items still required that they be crafted from certain materials and be inscribed with certain writings or symbols. They are also the most common form of magical item found throughout cultures and histories with numerous examples still being used and made today. Examples: Omamori, Hand of Miriam, Crucifix, and Hamsa. The Wand/Virge: The rest of this post will refer to these items as virges, since the terms wand and rod already have very specific uses and capabilities within standard Dungeons and Dragons rules. These items were most often signs of a person's authority or power to change the world around them. More mystical/occult interpretations, like those found in the Wicca, have the virge as a tool to focus a users will or energy. Some virges can have very specific uses or require criteria to be present before being used, while other virges allowed the user to focus their abilities for a number of tasks. The primary aspect of the virge is to focus a preexisting ability or power, if one did not possess the requisite skill or ability, the virge was useless. Examples: Caduceus, Barsom, Ruyi, and Gurz. A visualization of Dark Matter. 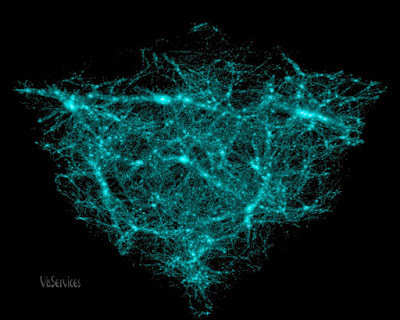 Dark Matter/ Materia Obscura: Dark Matter accounts for roughly 84.5% of the mass of the universe, however it is non-reactive to all other forces an matter, such as elctromagnetic forces, which means it is completely invisible to sight or any other currently known form of detection. The only reason it is proposed to exist is due to the fact that it does gravitationally interact with normal matter, though not with itself since it would form into disk shapes around galaxies rather than completely encompassing them. Fantasy/Game Explanation: Materia Obscura can only be captured by Astromancers as well as priests devoted to the stars as well as the things that live between them. In order to capture the Materia Obscura, it must be magically bound to coal and silver dust, two items that are the most aligned with the night sky. Materia Obscura alone cannot be forged into items and weapons, rather it is beaten into the metal being forged or made into a solution that the items components would soak in for a period of time. Due to the incredible difficulty in capturing and binding this material, it is the rarest of materials that can be used in the crafting of items. Sword/Weapon: These weapons outright ignore the physical armor of enemies and the hardness of physical objects. The material of the weapon pushes aside the physical makeup of the thing or person being struck, creating perfectly clean cuts and smooth dents. Weapons made of Materia Obscura still interact with the physicality of objects and creatures, but the resiliency of steel is the same to such a weapon as the resiliency of flesh or paper. Game Mechanics: When determining if a to-hit roll is successful, the bonus to AC provided by armor is completely ignored, though bonuses from magic and stats still apply. In the case of monsters, where the bonuses to their AC are not given, the GM is encouraged to give a penalty to AC based on the information given by the monster's write up. A dragon may have their AC reduced to 10 or lower (depending on the system) due to the fact that their high AC is almost completely from their tough scales, however, an elder air elemental may keep their entire AC due to the fact that their high AC comes from their ability to move quickly. 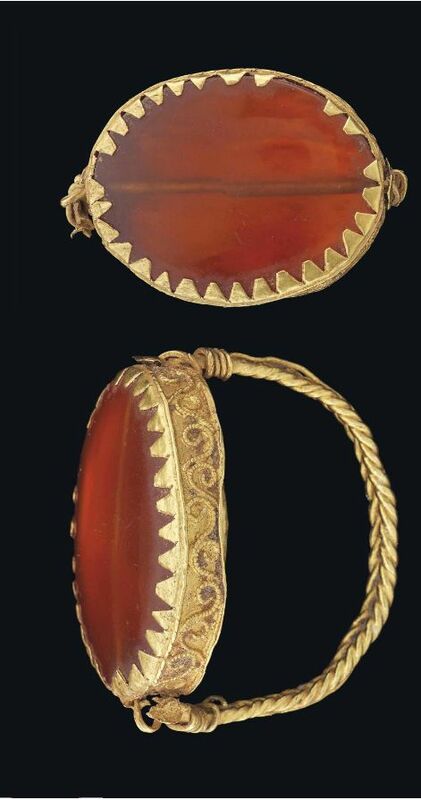 Ring: These grant the wearer an incredible level of stealth and concealment when worn. This ability is similar to invisibility, but with a number of added benefits. While the wearer cannot be seen, they also do not leave any tracks, they cannot have dust or liquid thrown on them to reveal their presence, they make no noise, and are not impeded in any way by terrain including the slowing effects of moving through sand or water. The drawback to using this ring is that the user cannot breathe while wearing it, since the air itself will avoid all parts of the wearer, including their mouth and nose. Game Mechanics: These rings act as rings of invisibility, trackless step, and freedom of movement. However, the user must hold their breath while using the ring, if they need to breath, meaning they can only wear the item for a limited time. Each system has its own rules for suffocation and breath holding, it is recommended that the GM rigorously apply these rules in order to stem the incredible level of power this ring grants. Talisman/Amulet: These items grant the wearer protection from supernatural or physical harm. The level of protection provided by the item depends upon the amount of Materia Obscura used in its creation. Accordingly, the objects come with the categories of lesser, intermediate, and greater, with the level of protection increasing with the category. 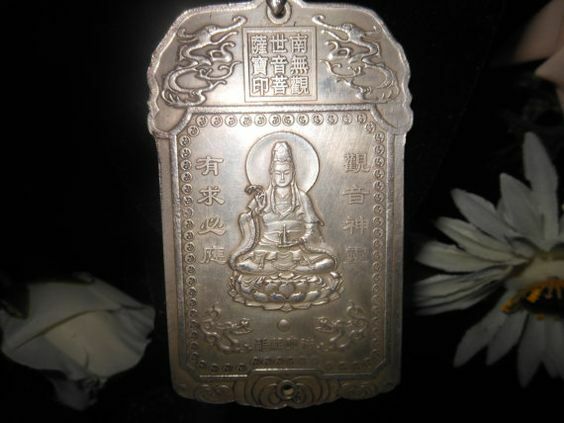 While it is unknown as to why this phenomena occurs, talismans and amulets that protect against supernatural harm will not function if they are worn at the same time as ones that protect against physical harm. Game Mechanics: Talismans/Amulets that protect against supernatural harm grant a level magic resistance based on the category of the amulet. Lesser: gain magic resistance equal to character level/hit-dice plus 25%. Intermediate: gain magic resistance equal to character level plus 50%. Greater: gain magic resistance equal to character level plus 75%. Talismans/Amulets that protect against physical harm grant a level damage reduction based on the category of the amulet. Lesser: damage reduction of 2. Intermediate: damage reduction of 4. Greater: damage reduction of 8. Virge: These items grant the user the ability to break or undo enchantments or spells that are encountered. A wizard or priest is the only individuals who can use this item, to all others the wand is simply a mundane length of material. Game Mechanics: This item grants the priest or wizard using it the ability to cast Dispel Magic at will. Additionally, the user may sacrifice a spell memorized for that day of equal or greater level of the magical effect to automatically dispel it. Negative Mass / Contra Ponda: Negative Mass is a theoretical form of mass that would function very strangely when viewed against the normal functions of positive mass, the values for such mass would be listed as normal mass would be with a negative symbol before it. This type of mass should not be confused with anti-matter which is theorized to have positive mass, due to the fact that only individual atoms are created by CERN it is difficult to determine for sure if those atoms are exhibiting aspects of negative or positive mass. The model used for this post is the General Relativity model, which holds that negative mass is repulsed by other negative mass, and attracted as well as repulsed by positive mass. The result of this attraction and repulsion to normal mass is that when negative and positive masses are paired with equal values, it can cause runaway/self acceleration. This means that given no other impediments, an object consisting of equal amounts of negative and positive mass would eventually accelerate to near the speed of light (or possibly beyond, depending on the model of physics used). Due to the amount of higher level of mathematics needed to completely prove the next concept, I am unsure as to its validity. The write-ups for this material will assume that unequal amounts of mass will not spontaneous accelerate, but items used and worn with unequal amounts will assist acceleration. Fantasy/Game Explanation: Contra Ponda is not a material in of itself, rather, it is a state that can be imbued on a piece of material by Kinetomancer or another form of miracle worker who can manipulate the powers of the universe. The creation of such materials requires a great expenditures of time moving the material in various ways to remove its mass to create a deficit within the material. Sword/Weapon: Such weapons allow the user to strike with greater amount of force than they would normally be capable of. The drawback to such weapons is that they are difficult to redirect when put into motion, due to their propensity to accelerate into the direction they are first pushed. Game Mechanics: Weapons are always made with an imbalance of masses to avoid the weapons flying off on their own accord. Arrows can be especially dangerous, since even unbalanced ones can fly for incredible distances if they are not impeded by an obstacle. Weapons made using various amounts of negative mass grant a bonus to damage, but a negative to-hit after a certain point. For every +3 points of bonus damage the weapon provides, it also gives a -1 penalty to hit. The penalty comes from the weapon becoming difficult to redirect after it is put into motion. Ring: Creating a ring in the normal sense provides no real benefit to the user, however, forming the negative mass material into bands for the legs or ankles does. These bands allow the user to run faster and jump higher than they normally would. Game Mechanics: These bands grant the user a 50% increase to their base movement, and doubles their jumping distance. They also grant a +1 bonus to AC and their Breath save from being able to move faster to avoid dangers. The unfortunate side effect of the bands, is that they must be completely crafted of a material that has negative mass. When not worn, the bands must be kept in a container since they will accelerate away from normal matter, making it appear as if the items are jumping around on their own. Talisman/Amulet: These items made of substances, which include those with negative mass, protect the individual from physical harm that stem from being struck by objects. Negative mass talismans/amulets create a weak field of negation and repulsion around the wearer, reducing the amount of force being used against them. Game Mechanics: Whenever the wearer is damaged by a kinetic force (e.g. being hit by a weapon or falling) that damage is reduced by 1D3 – 1. When not worn the talisman/amulet must be kept in a container with restraints, otherwise it will accelerate away from user (slowly at first) until it reaches near light speed or encounters an obstacle. It is very easy to lose these items, since they do move away from where they are set on their own. Virge: A virge made using negative mass materials allows a user to create a shield or field of protection by focusing their minds. Those who are within the field are granted a level of protection from weapon strikes as well as objects fired at them. Game Mechanics: The user of this virge cannot do anything during the rounds it is active, outside of defending themselves. Instead they must concentrate their entire mind on creating a field of protection around themselves. The character must roll under one of their mental stats (Int, Wis, or Cha), using 1D20, the choice of which stat is up to the character. If the user succeeds, everyone within a 15 ft diameter sphere centered on the user gets a damage reduction equal to 3 + the stat modifier used to activate the virge. A failed roll means that they are unable to focus their mind enough to activate the ability. The user only needs to roll once to activate the ability, but the ability ends the moment the user does anything but concentrate or defends themselves.